Former high school teacher and UWM alumnae, Dr. Christine Fatlz, executive director of Central City Cyberschool, dreamed of the concept that all students, in particular students who dwell in the inner city of Milwaukee, should have access to technology all the time, integrated into every kind of learning. 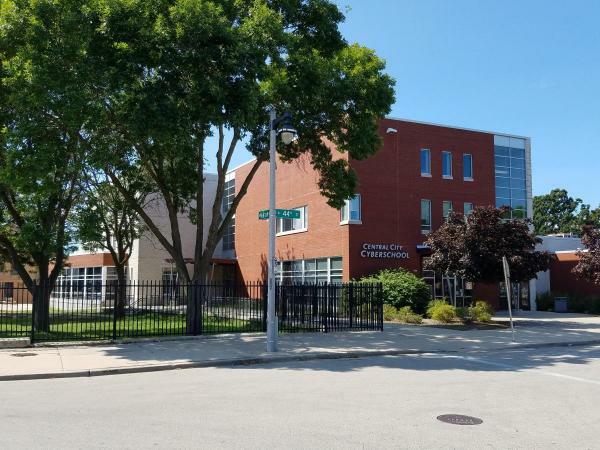 With the help from former Milwaukee Housing Authority Director, Ricardo Diaz, officials at Johnson Controls, and former Milwaukee Public Schools Superintendent Dr. Howard Fuller, she was able to make her dream a reality. On Sept. 5th, 2000, Milwaukee Central City Cyberschool opened with 400 students in grades 1-8.